Recently, I saw a glimpse of what is to come in my life as a mother. I also realized the selfish and selfless nature of motherhood through new eyes. King diaper is an only. Until now, he hasn't really shown a need or desire for other children and playmates. Sure. We sent him to parents morning out to socialize and be around other children. But at that point, it was parallel play. And his noticing other children was somewhat limited. Until this week. A college roommate came to visit with her children. King Diaper couldn't get enough of her little girl. He dragged that child all over the house. And when it was time for her to leave, he said, "I go with you." Until that moment, I never really saw him needing or wanting anyone else. His family was enough. And that was enough for me. This week at the beach, he ingratiated himself on other children that were near by. One evening, he wanted to play with some other boys in the sand. As he vied for their attention. He circled and screamed - putting his hands on their backs to signal them. Each boy remained silent, ignoring his ploys. I said to him, "stop screaming and say hello to them if you want to play." He did. "Hel-wo" he said only to be ignored. He just kept circling the wagons determined to join their sand castle construction. I watched with my teacher like observation to see what would happen next and thought of what to say. But stood there silent and sad - both for he and I. Watching, I saw my baby growing into a little boy that needed and wanted his momma less. And, I watched as he experienced, unknowingly, the first of many moments of disappointment. Becoming a new mother, one wants a child or a baby really to love and nurture. And that vision for me didn't include anything beyond that. Sure. I always knew there would be play dates, sleep overs, and then dates and college. But that is a long way off. Or is it? For the first time, I wanted to help him make friends and play with other children. I also want to let him make his own way. But, I don't want to let go of that tiny hand that has been holding mine for so long. And I caught a glimpse of that little boy walking out the door - going to school, to spend time with friends, and holding the hand of a girl he loves. Because one day, he would be grown up and no longer holding my hand and needing me as much. He needs me now, and I'm trying to hold on to that while relinquishing some of my selfishness as a mother. He needs to play with other children and he wants to be more independent. Increasingly he is less dependent. I can't and won't stop those things. I don't want to, but I want it to slow down. Even if I could slow down time into a crawl, I would never be ready. I see my grandmother letting go seven times to her boys and how that must have felt each time. And I don't think that lessened with the number of times that she did it. As I write this, King Diaper is sleeping upstairs. I'm at the beach while his dad is on duty. I'm enjoying a little precious time that was once mostly never interrupted pre baby days. And I realize with that King Diaper achieving independence, some of my own independence will be regained. I'll relinquish some of what I wanted when I became a mother and not hold on so tight. I'm going to help him find his way and nurture him as he does. I know it's my job and how things are supposed to be. I only hope he never forgets how to hold his mamas hand because he will always have her heart. And each time he lets go of my hand, it tugs a little harder at my heart strings. And as I let go a little more, he will always be my little boy that I hope will always need his mamma. FabFitFun is a quarterly subscription box. It is hands down my favorite box! It covers all the bases. There is always something that is health and fitness related, beauty and makeup and fun little products that make it well rounded. The summer 2015 box is my most favorite one to date! This is a total of over $250 worth of products. How did it stack up? First, the wireless speaker is great! It is perfect to clip on King Diaper's stroller, take to the beach, onto the deck for dinner or anywhere really. It connects by blue tooth or an auxiliary cord. It has a little cord to charge it up and you are ready to go! Sound is perfect. And, it functions as an FM radio! What is not to love? Everyone could use a little music on the go! While you're at it, the jump rope is perfect! This is my new go to in my bag I'm packing. No gym, raining outdoors or just bored with the typical work out routine? No problem. Jump rope! I love it. It requires nothing other than just good ole sweat and hard work. The nail wraps are most likely my least favorite, but this is not a deal breaker for me. I just don't really do my finger nails. I'm too hard on them for this to be a big interest item for me. I will probably try them at some point, but its an "eh okay" item for me. Jewelry is something I enjoy and wear but rarely buy for myself. So, I was pretty happy with this score! The length is just right. It goes with lots of things, and I've gotten lots of compliments on it. Every box has a "big" item. This was it for this box, and its a pretty good one! Spring had a great scarf that I've worn a ton! I've been wanting to try the spray on Vaseline lotion, and this gave me my chance. Its easy to use and great for summer when the pool and sun is drying out skin. Plus, this is a full size item. I really like that. Gorge leave in conditioner spray is a way to give your hair the little extra shine and balance you need. Summer always fries my hair with pool chlorine and sun. Plus, styling in general is harsh. This is certainly something that I needed and have been using daily. Since I color my hair, I think that I'll be glad this was part of my box. Over the past few months I've become a bigger fan of roller ball scents. These are easy to travel with. So this is perfect for me since I am constantly on the road. My only complaint is that it is a bit oily and bugs me a bit there. However, the scent is light and not too heavy. The pros over ride the oily factor. The facial sponge is like getting a facial every time you use it. And it doesn't require anything with it. It scrubs your skin and leaves it smooth and polished. Again, great for summer! a beach umbrella to a stroller! Headspace is a meditation download that can be used on the go. Described as gym for the mind. The $36 coupon essentially pays for 3 months of service. You can download "courses" to listen to on the go. It kind of reminds me of the digipill app that I have. The first ten sessions are ten minutes long and very relaxing. It is certainly worth a try and everyone has 10 minutes. I always use the coupons in my box because it gives me a chance to try something new! In the spring box, there was a coupon for $40 off of Hello Fresh. The Tarte Lip Gloss is another favorite from this box. It is glossy with the perfect color and stays on pretty well. It is just right for the summer and has become my go to lip color this season. The next box will be the fall 2015 box that will be out in a few months. There is still time to order the summer box or sign up for the fall box and give it a whirl next time. The ten items this time were totally worth it. My favorites are definitely the speaker, jump rope, Tarte lipgloss, Gorge leave in condition, and necklace. If I didn't use anything else from this box, I've done pretty good. This box is perfect for anyone. It has a little bit of it all. And if you are a mom or someone on the go, run and get this for yourself or ask for a subscription as a gift. I know way to many women that spend all of their time taking care of everyone else and not enough time on themselves. This box is a way to get somethings fun while taking care of yourself and looking great while doing it. And given that every box is packed with great products, you will get way more for your $50 than what you spend. So, you can't loose. And if the price tag is still bugging you, think of it this way. How much do you spend on products a year? Most women spend at least $16.65 on products a month for themselves. Sometimes these are ones that don't make the cut and get tossed out. Well, that is the price of this box if you break down the cost per month. Not that bad when you think about it. What are you waiting for? You know you want it! Smoothies are a favorite of mine for lots of reasons. Over the years, the types of smoothies that I make have evolved, and I hope this means that they have improved. The main thing that I consider in a smoothie is the ingredients. What is this stuff that I'm putting in them? While I'm at it, let me clarify that to me smoothie and meal replacement shakes tend to be synonymous. There are lots of powders and mixes out there. Every brand makes lots of claims. But it comes down to ingredients. I'm not a nutritionist. So, let me add that as a disclaimer there. Nor, am I a medical doctor. So, all of this is about what I have learned, tastes good and makes sense to me. If you are going to start incorporating smoothies, think about what you like and don't stick to one thing forever. You will burn out and dread the thought of another one. Also, look for seasonal options that make things different and fun. The freezer can be your best friend. Bananas that are getting too ripe? Freeze them! Want to have fruit on hand? Buy a few bags of frozen fruit at the grocery store. Or, freeze fresh fruit from the farmers market and freeze to have on hand! Also, if you travel, some brands of shake mixes come in prepackaged powder packets that are super easy. But, don't let that stop you. I put a scoop of drink mix in a mini plastic container or even a small ziplock bag. One a recent trip, I put a scoop of mix in a baggie for each day. Put the bags inside of my shaker cup. And I was packed and ready to go. So easy, and I had breakfast each morning on the go. Look for ways to incorporate vegetables in your smoothies for added fiber. Beets, carrots, kale and celery can all be good ways to add a little some thing extra. 1. Coconut or almond milk - any milk will do! Take your pick. 3. Protein powder. Vanilla is the most versatile. 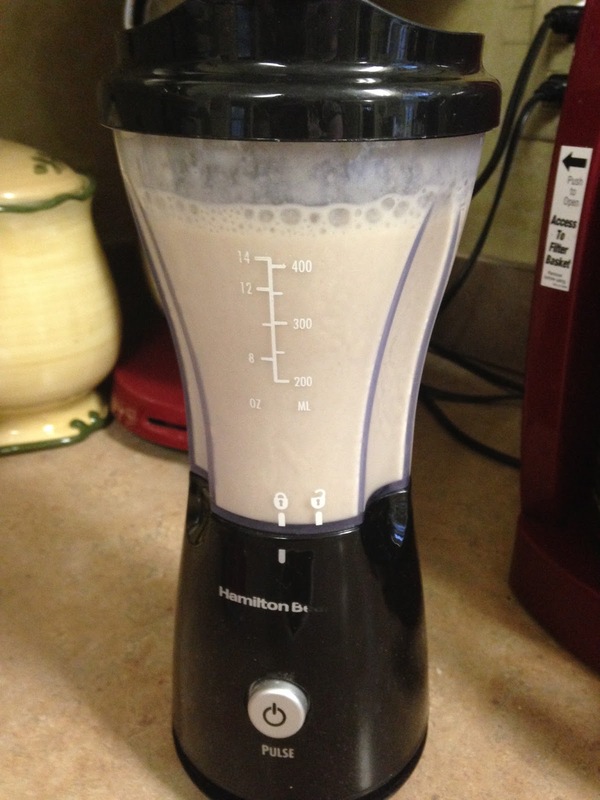 When I first started making smoothies, my first one was a chocolate peanut butter with banana concoction that I still love! But, I have branched out to sunrise smoothies with beets and carrots. Or I have cinnamon roll smoothies and even PB and J Smoothies. No! I do not put jelly in them! Here are a few of my favorites that I have come to love. *If you don't have chocolate, use vanilla and add a tbsp of cocoa powder. The advantages of a smoothie is that you can have a meal that you can drink easily. If you have things on hand, it gives you a reason NOT to feel like you HAVE to pick something up or order out. It is an easy way to start your day. And, many protein powders and drink mixes can be made with just water and used on the road. I have even mixed my powder with milk on the road and had a meal that way. When you pick a protein powder, do your research. Compare brands. I can tell you the brands that I use. But instead, I'll tell you that I have more than one brand in my house now. From experience, if you have more than one brand you will be able to tell the difference in the ones that have lots of sugar and additives. It took just a little while to tell this. Sure. The ones with more sugar taste great! But, is that what you are going for? Maybe so. But, grab a milkshake while you are at it and call it a day. Labels. Labels. Labels. Read up and choose wisely. Not all protein and meal shake powder is created equally. That doesn't mean your smoothie or meal replacement shake can't taste great. Advocare has a seasonal meal replacement shake. Iced Lemon Cake is the flavor. Run and get these as fast as you can before they are gone! They are delicious and packed with 24 grams of protein. Trust me. You will thank me later for that one. Since they come in little packets, they are so easy to sneak into your purse or suitcase and take with you wherever. 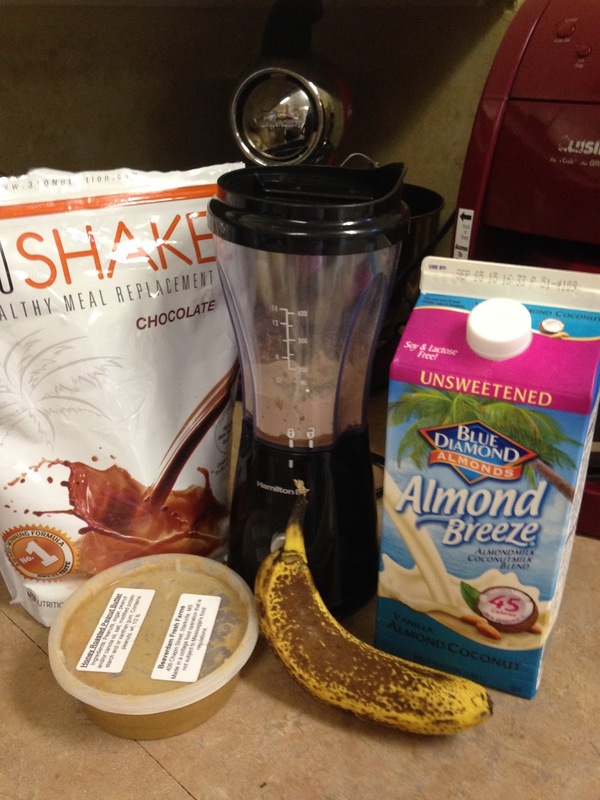 These mix so easy in blender bottle and can be made with water or milk! I have found that the store bought protein powders tend to be a little more gritty and yield a less appealing taste and texture. The finer the powder, the smoother the texture overall. A high powered blender might provide a great texture regardless of the powder, but this won't help if you are using a blender bottle. So, this is one thing to consider. And don't let sticker shock scare you! Sure, $68 sounds like a lot for meal replacement shakes. But, when you divide that by 28. This is $2.43 per serving. With about 50 cents a serving for nut or organic milk, and another 50 cents for fruit, you are up to $3.43 total. That's a whole meal! You can't buy a happy meal for that. Be prepared to spend around $2.50 to a little over $4 per serving for most shakes and powders. But you totally get what you pay for when it comes to this! I've tried a lot of them. Do the math and think about what you are spending per meal. When you look at it through this lens, it is a lot easier pill to swallow. Because, when you think about what you spend for a fast food meal or other meals you eat on the go, this is a small price and probably cheaper. Plus, is it cheaper to eat cheap food or cheaper to buy great food and be healthier!? I'm sure your wallet will thank you over the long haul along with your body. I use smoothies as my go to way to have something easy and healthy in the mornings or on the road so that I stay on track. This past year, I bought a $15 Hamilton Beach blender that I can take with me. It is small. When I am driving for work or with my family, I chunk it in a bag and can always have a healthy meal to offset whatever else is going on that day. Also, Pinterest is my favorite way to find out about new smoothies. I look for new recipes and combinations all the time. If I have random ingredients , I do a search for a smoothie with that ingredient. I did this earlier this spring with beets and came up with the a Sunrise Smoothie Recipe. Finally, a blender cup works fine. I use them all of the time. But, these are really for just mixing powder and liquid. Fruit won't work in them. Again, think about the quality of your protein powder you are using. 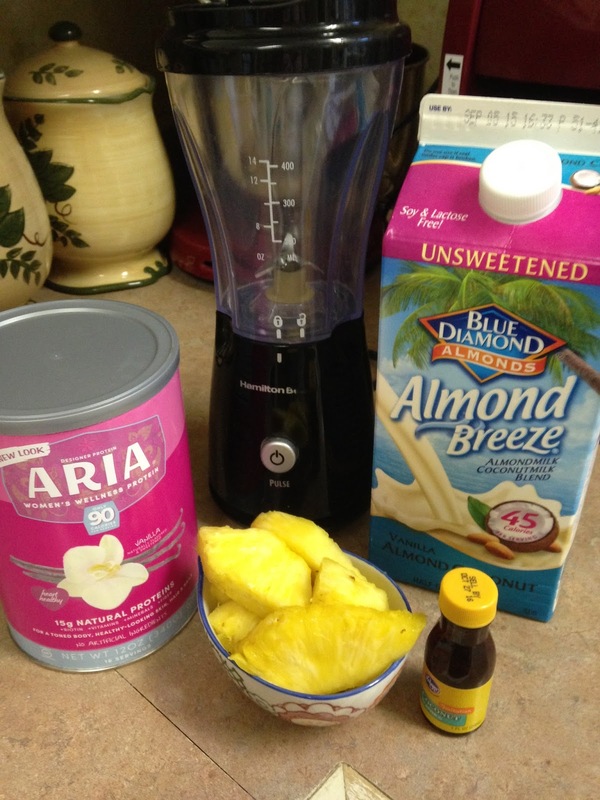 Finer will give you a smoother shake in a blender bottle. I probably won't buy any more store bought powders after this go around. I just don't like them. My Hamilton Beach $15 single serving blender cup is what I used the most. But, if you want the fancy brand with more power, well you get what you pay for. The fancy Vitamix machines and Ninjas provide a smooth texture that is superior to less expensive brands. But, for me, my $15 blender works just fine. I'm not trying to be a smoothie chef. I just want to have a healthy meal. I don't mind a few chunks of fruit. I'm not going to replace all my meals with smoothies. I cannot drink all my meals. But it is a great quick option. It is great for being on the go. And best of all, it is great for keeping me on track. Once you start to discover all of the creative things that you can do with smoothies, it becomes fun to see all of the great combinations that can be created. Since many of these things are already on hand, it is a solution that works for any budget and and schedule. Try something new! You will thank me later!